Relocating from New York City to Los Angeles and performing with musicians who played in the movie studios inspired Diane Hubka to record these songs that debuted in film. The selections date from 1937 to 1979, mixing standards with superior obscurities, penned by some of the most acclaimed film composers of our time. 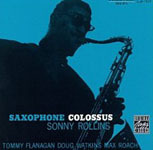 All God's Chillun Got Rhythm; Double Rainbow; The Look of Love; Lovers in New York (Theme); He's a Tramp; The Bad and the Beautiful; I'm Old Fashioned; The Long Goodbye; Close Enough for Love; You Only Live Twice; Wild Is the Wind; Manha de Carnaval; Invitation. 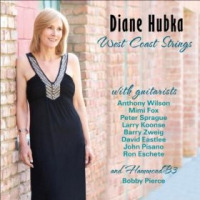 Diane Hubka: vocals, guitar; Christian Jacob: piano, arrangements; Carl Saunders: trumpet, flugelhorn; Larry Koonse: guitar; Chris Colangelo: bass; Joe LaBarbera: drums.